Researchers are increasingly being asked to maintain a public profile for their work as part of wider institutional strategies for communicating academic excellence. They are also facing increasing calls for their research to be discussed in the public sphere. Digital and social media offer a space where these demands can be met. But using social media for research and engagement is not a straightforward option: researchers have to juggle multiple priorities and spending time in the digital realm has to be justifiable. 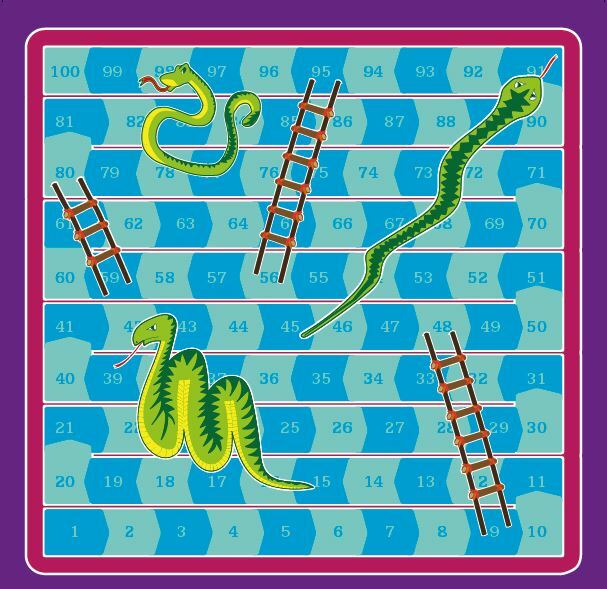 In short, these challenges present a knotty challenge; a game of snakes and ladders. We have developed a board game to support researchers as they discuss these issues. 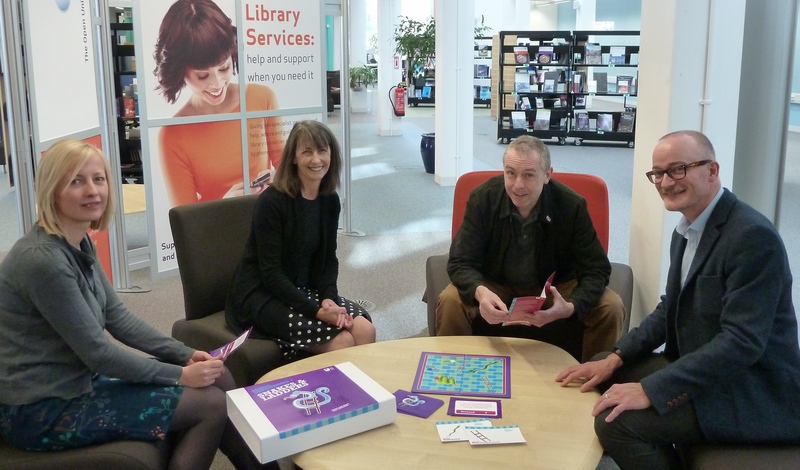 From our experience, it can be played as part of a formal training session or as an addition to a coffee break. The design team: l-r Helen Donelan, Ann Grand, Peter Devine and Richard Holliman. Photo: Gareth Davies. 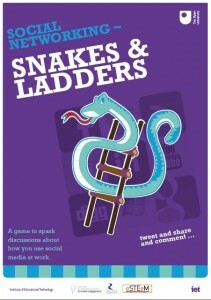 The snakes and ladders of social media was developed by Ann Grand and Helen Donelan with support from Peter Devine and Richard Holliman. It is designed to match the requirements of a traditional boxed board game. We have designed a board, cards and instructions for playing, as well as a poster, meaning the game can be used for workshops, training, or department/faculty discussions. All you need to provide is the counters. All the elements of the game, including the instructions, are freely available as open access .pdfs under a Creative Commons license (see below). You will need one copy of the game for between four and eight people. Download the snakes and ladders. Download the postcards for ‘your thoughts’. We’d be delighted to hear your thoughts on the game. Please email them to us using the details on the contact page. These resources were produced as part of the Open University’s RCUK-funded Public Engagement with Research Catalyst, ‘An open research university‘. Ann Grand was a Research Associate on this project, contributing to the work package that explored the digital attributes of engaged research. To read about the story of how the snakes and ladders of social media came about, select Download and play the snakes and ladders of social media.